First impressions are crucial. If your “above the fold” website content doesn’t grab your visitors’ attention the second they land on your site, they won’t bother to stick around any longer. But if you get their attention, and they’ll stick around, subscribe, and buy. But wait – what the heck is a “fold” in web design anyway, and why is it so important? If that’s what you’re thinking when you hear the term “above the fold content”, you’re not the only one. That’s because the idea of the fold goes back to the days before digital. Most newspapers were sold from sidewalk kiosks, as some still are today. They were usually folded in half so passersby could see the top half of the front page. If what they saw didn’t grab them, they’d keep on walking, and sales would be down. That’s why it was crucial to put your best, most interesting content “above the fold”. The concept of the fold is pretty useful for websites, too. When you’re talking about above-the-fold in web design, it’s simply the content that fills your screen. The “fold” is the bottom of the screen. That’s why it’s crucial to hook visitors from the minute they land on your site. Get their attention, and they’ll stay and convert. To help you get your visitors scrolling down, we’ve collected some great examples of above the fold content you can use for inspiration. 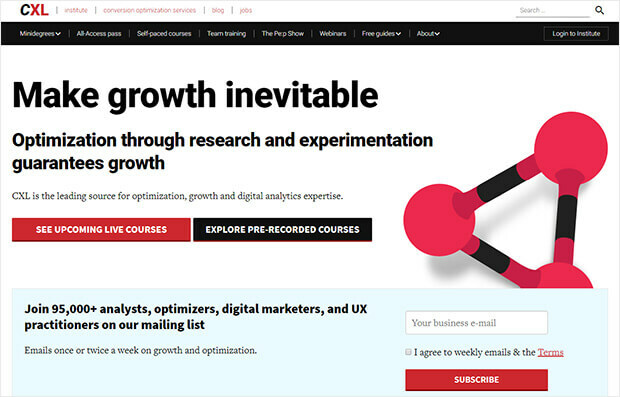 HubSpot is all about growth, and that’s exactly what its above the fold design shows. The image suggests learning (notebook) and advanced technology (space helmet). The headline is a play on the common phrase “all systems go”, suggesting that the reader will be forging ahead with growth. That idea’s reinforced in the subhead. Then there’s a compelling offer of free software on the CTA button. Jeff Bullas has two sets of above the fold content. When you first land on his site he has a welcome gate, with a compelling offer to get his tips on doubling traffic. The large background image attracts readers’ attention immediately. Click on the arrow, at the end of the welcome gate, and it takes you to his main page, where there’s social proof of his readership and online authority. You still have to scroll once to get to the content, but by then most readers are likely convinced. 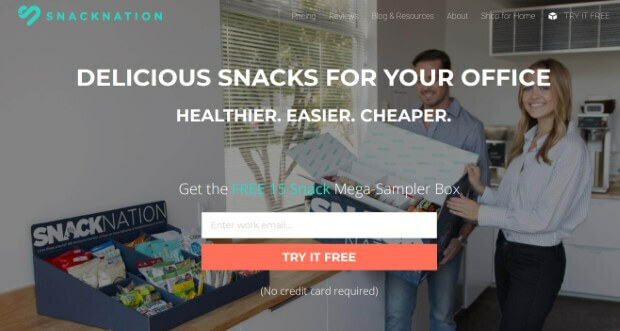 SnackNation‘s above the fold content shows exactly what’s on offer, with a background image of a person with a snack sampler box in an office. The content offers visitors the chance to sign up for their own sampler box. This is a great way to get business leads. In fact, thanks to OptinMonster, SnackNation gets 1200 new leads each week with this above the fold design. 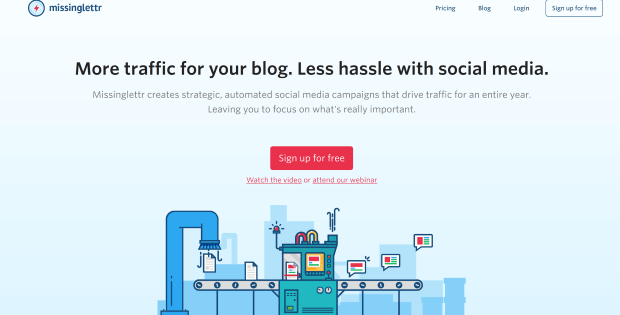 Missinglettr‘s homepage also works because the headline gets right to the point of what its visitors want: a hassle-free way to drive social traffic with their content. The two-sentence explanation gives more detail on the product, then there’s a visible CTA below. The page also includes two other CTAs targeted to those who might not yet be ready to sign up. Having three actions to take instead of just one might make them less effective, but we’re willing to bet this design is based on rigorous split testing, so the company knows it works for their audience. 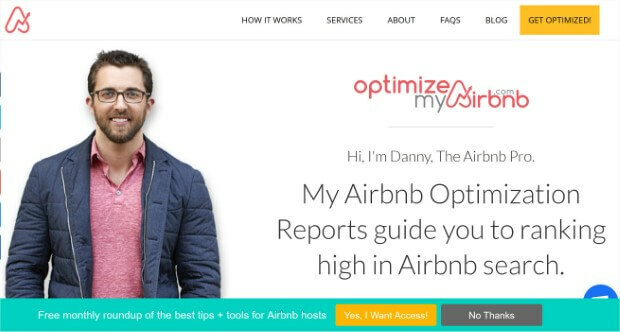 Optimize My AirBnB takes a more personable approach to its above the fold website design. There’s a big picture of the site owner who appears to be looking directly at the reader, thus drawing their gaze. To the right of the page, there’s a welcome sentence which outlines the key benefit of the site. And by the time you’ve read that, there’s an OptinMonster floating bar offering you the chance to sign up for more tips and tools. This was one factor in growing the site’s list 650%. 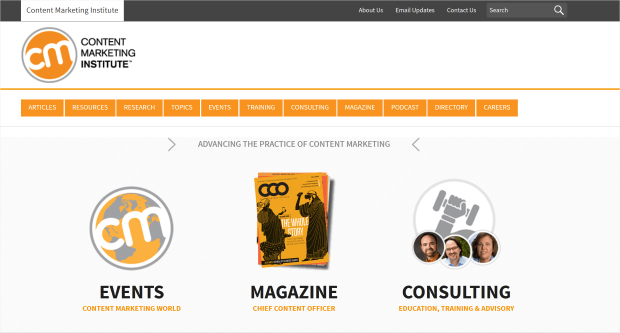 The Content Marketing Institute (CMI) takes a slightly different tack with its above the fold content. At the top, there’s a menu listing all the different types of content they offer. But the bulk of the page is taken up with the products they most want to promote: their events, consulting services and magazine. Everything is in the brand colors, creating a harmonious visual experience. MonsterInsights keeps it simple with a white background. Against this, the headline stands out well, and the subheadline subtly underlines two key benefits for readers. There’s also a clear and visible call to action, with a subtle arrow inviting readers to scroll down if they still want more info. In the case of this above the fold design, minimalism works! As you’d expect from an online newspaper, The Guardian nails above the fold content. In this example, two stories stand out. The one on the left has a bigger headline and picture to draw the eye. But the online publication is taking no chances; there’s another story just in case the main one doesn’t grab readers. The story category is in red, contrasting with the black of the headline, to create a compelling visual effect. 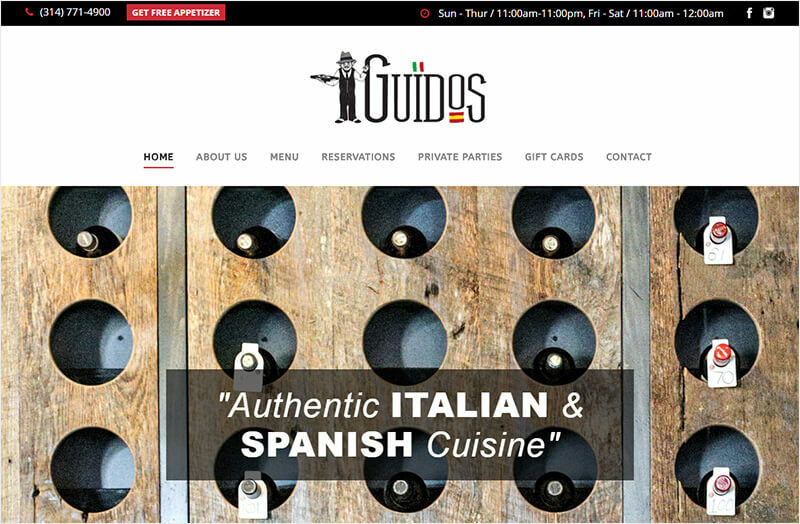 The most effective aspect of Guido’s above the fold content isn’t the statement about its authentic cuisine. And it isn’t the compelling image of the wine rack with labeled bottles sticking out of it. It’s actually the menu button that says “Get free appetizer”. That button triggers an OptinMonster MonsterLink™, which got the restaurant more than 1000 new leads in four months. Here’s how you can add a popup to your website menu, too. OutreachPlus grabs readers’ attention with a question that makes them think. Then it shows how the product could help solve that problem. The homepage is simple. Apart from the headlines, there’s a screenshot of the product, plus two choices of what to do next: buy, or learn more by viewing a demo. 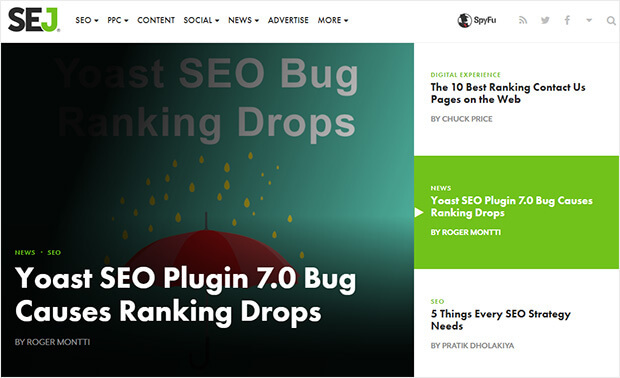 Search Engine Journal is a content site, so its above-the-fold design puts their content in the spotlight. The site’s design lets them showcase three stories above the fold. There’s also a clever bit of web design here. The three stories are listed on the right of the page. Each is highlighted in green in turn. When a story’s highlighted, it takes the top spot on the left of the page, displaying with an attention-grabbing image and headline. You’d expect Peep Laja’s ConversionXL to get above the fold content right. It’s another simple design. This page has an in your face headline, and a subheadline that states their core belief. There are also two CTA buttons giving choices for what to do next, and a secondary CTA below that to sign up for their email newsletter. Christmas Lite Show converted 30% of visitors simply by triggering an OptinMonster MonsterLink™ in its above the fold content. The button launched a countdown popup with a coupon offer. 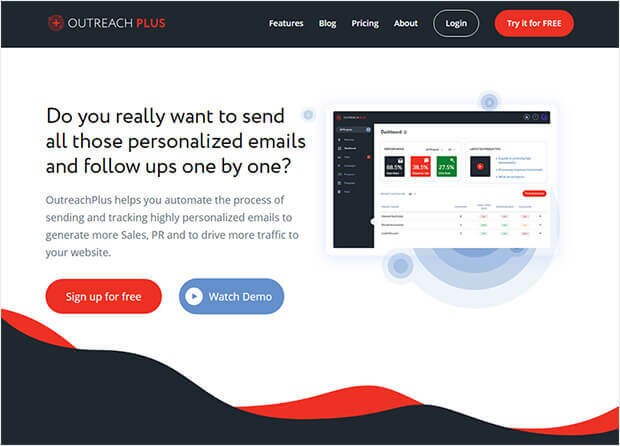 The combo converted 30% of visitors and added 7,000 new subscribers to the company’s email list. 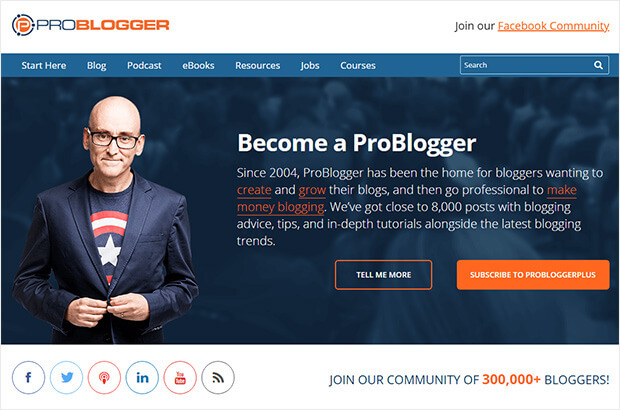 Problogger is another content heavy site, so its above the fold content focuses on making it easy for people to find the information they want. At the top, there’s a comprehensive navigation menu. 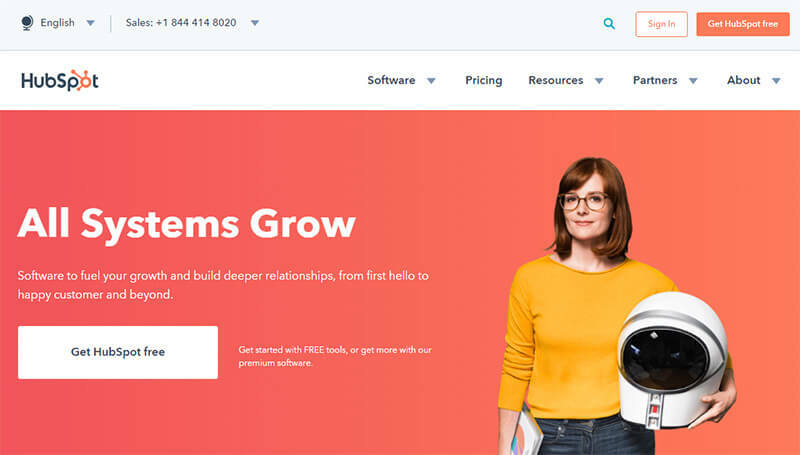 There’s an image of founder Darren Rowse to create a personal connection with the visitor, plus a 2-step optin that triggers an email signup form popup. Kennedy Blue is a great example of above the fold online content. 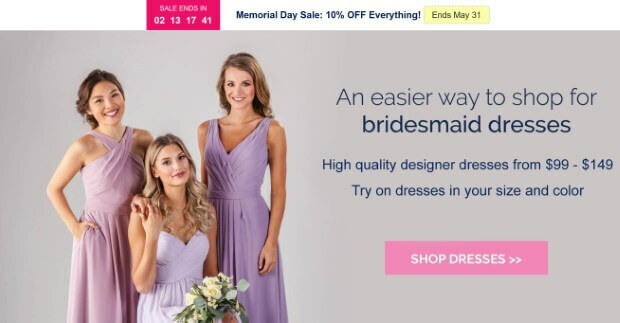 The main banner includes an image of three women in different styles of bridesmaid dresses. Meanwhile the copy highlights how easy it is to shop for dresses, and gives a price range. The CTA sends visitors straight to the shop. 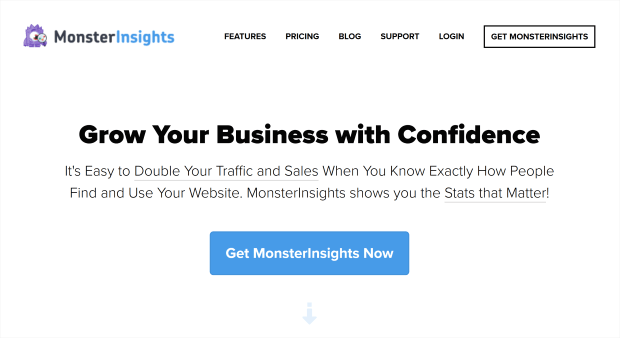 And the site’s using an OptinMonster floating bar to highlight the current sale – just one of the ways they were able to achieve a 50% increase in sales. The Men with Pens site doesn’t have a typical corporate look. Instead there’s a quirky design with bright colors. While it looks like everything’s been thrown onto the page, the above the fold content is well planned. Apart from the menu, there’s a carousel showcasing the site’s web design and copywriting services, as well as their books and blog. Copyblogger‘s above the fold content is minimalist. Most of the space is taken up by an image showing a person looking at a piece of Copyblogger content. Since she’s facing left, her gaze draws the visitor’s attention to the headline. The headline shows the benefit (building online authority) with the offer (effective marketing). 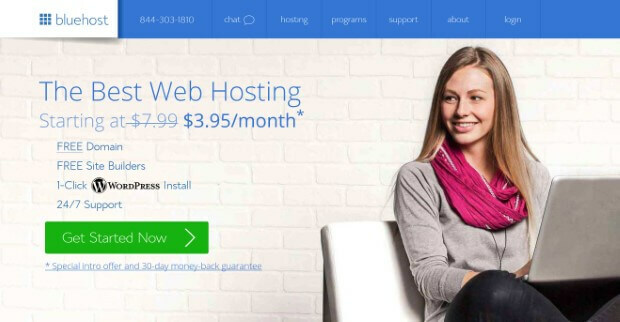 On its homepage, Bluehost uses an image on the right with the person’s eyes looking towards the text on the left. This is a clever bit of psychology that directs readers’ eyes there, too. When they look, they see a headline, a reduced price (which is always appealing) and a short list of key benefits. Underneath is a visible CTA button urging readers to get started. That’s it! Now you’ve seen some above the fold web examples that really work, apply these principles to get your visitors on board. Next, check out our guides to email marketing and growth hacking your business. And don’t forget to follow us on Facebook and Twitter to keep track of all our new content. It would be very interesting to see some stats on video backgrounds. They seem very “in” but I don’t see how it’s a good idea when taking into account slow connections.